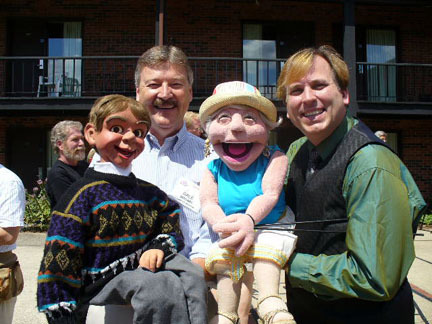 At far right, Jeff Dunham, whose DVD “Arguing with Myself” is a quintuple platinum, listens intently to his mentor, Dale Brown, shown in the middle. 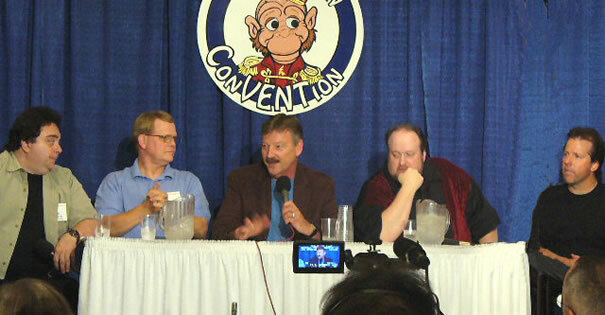 Actually, Jeff is wondering who Dale is and why he’s on the same panel. 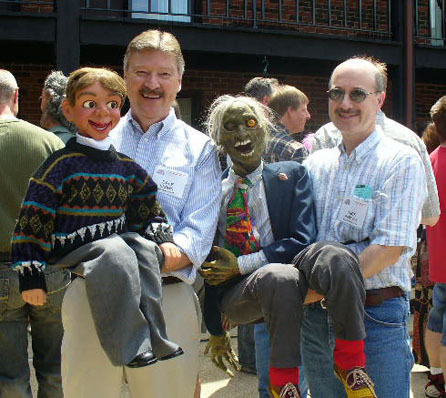 Also shown from left to right, Pete Michaels, Mark Wade, ConVENTion chairman, Dale, Tom Ladshaw (Gottle O’Geer Collectibles) and Jeff. 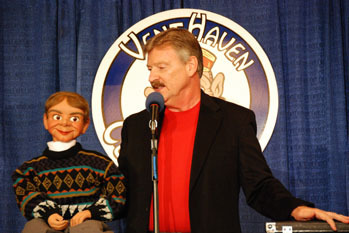 Dale was honored to be the opening act for the 31st Annual International Ventriloquists’ Convention. This is Dale with Meghan Miller (left), you’ll remember Meghan from America’s Got Talent! Like the other 300 male vents at the convention, Dale hopes to mentor Meghan. This is Dale with Dan Horn, a very fun vent that works many cruise ships. He’s already told Dale that he isn’t looking for a mentor. Dale with Nick Pawlow, a well known vent who specializes in unusual characters to say the least. This photo just amused us. 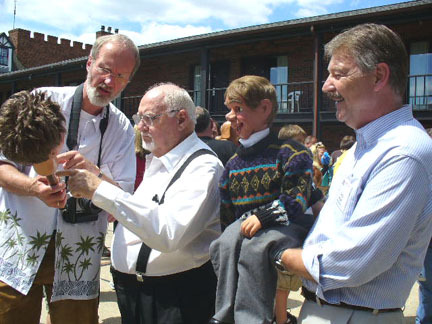 Dr. Stevo Schüling is showing his puppet to Bill DeMar,Chip and Dale look on amused and confused. 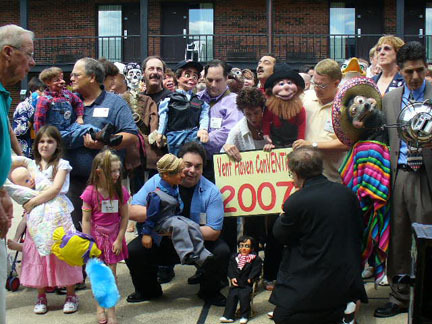 Each year, a photo is taken of all the Ventriloquist that attend the Vent Haven ConVENTion. Here, the photo is still in the process of being organized.